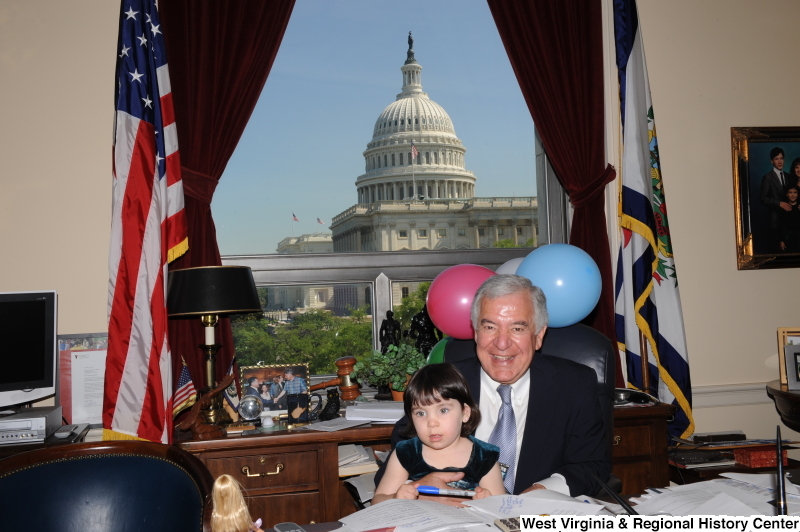 Congressman Rahall sits in his Washington office with a girl and balloons. 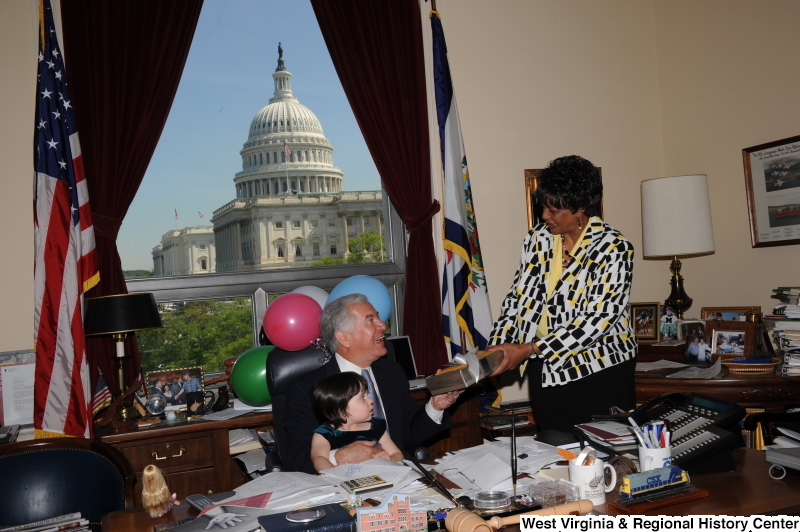 Congressman Rahall sits in his Washington office with a girl, balloons, and a woman holding a present. 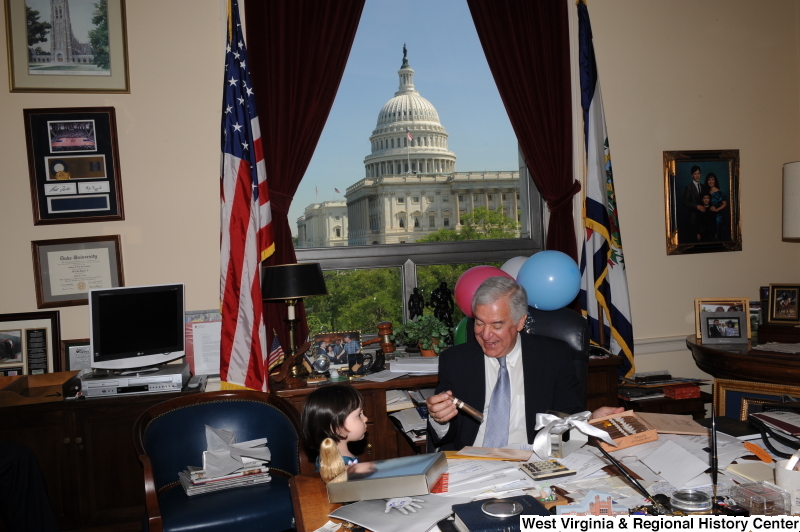 Congressman Rahall sits in his Washington office with a girl, balloons, and a cigar. 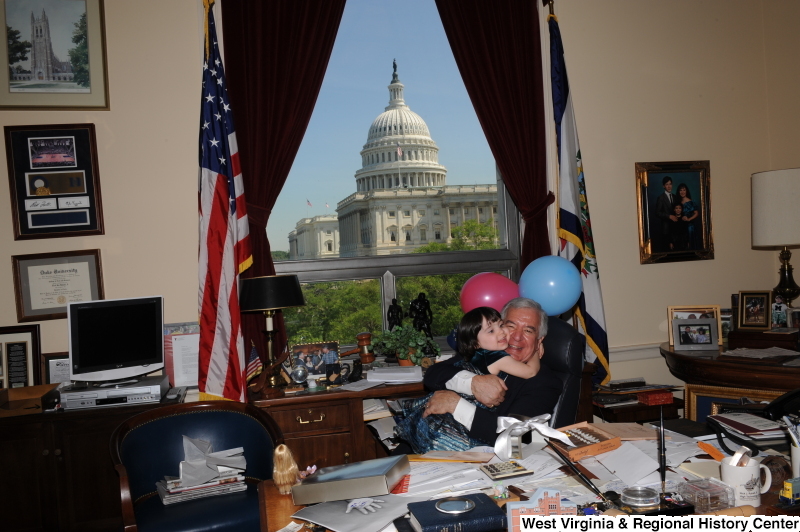 Congressman Rahall hugs a girl in his Washington office, with balloons. 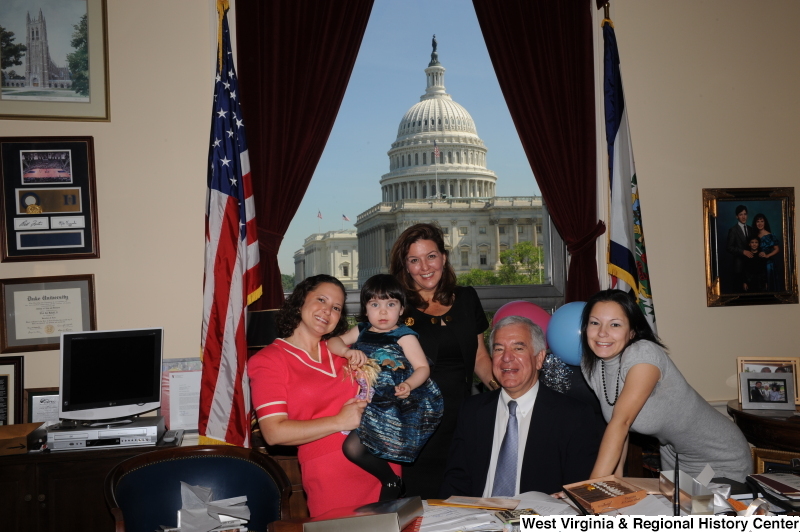 Congressman Rahall sits in his Washington office with three women and a girl, with balloons.